» And if you have had an infant, very good change they are no longer an infant. That stage goes by very quickly. Then what are you going to this with this $400 suitcase? A double-decked gadget for airplane seats. 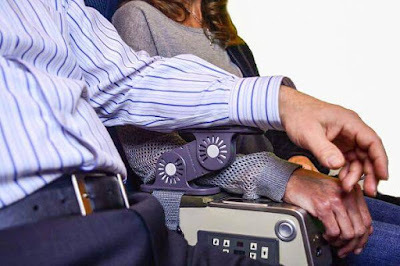 The ideas is to let two people share one armrest at the same time. 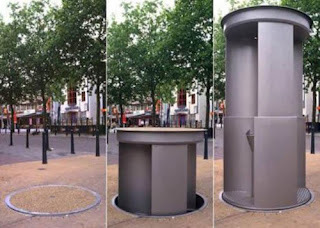 While that is a nice concept and it does try to solve a common issue for travelers, the contraption from the looks of it will not fly. It is bulky and sticks out quite a bit from the original armrest. Also it looks like it might collapse at any moment and squish the hand that is underneath. Sleep is good. Sleeping outdoors is great. I like both, but I don't like all the bugs and other adventures that come with pitching a tent outside. Mobile Cushion Air Bed lets you easily convert your SUV into a sleeping tent. 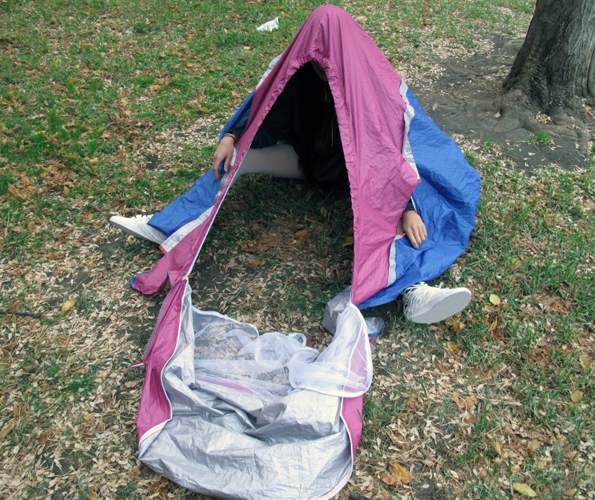 Great for quick nap during a pit stop, or setting up a camp site. The difference between this one and other inflatable mattresses is it is made to fit properly within the back of your SUV. Also it is good for temperature from -13 to 140℉ degree inside the car. 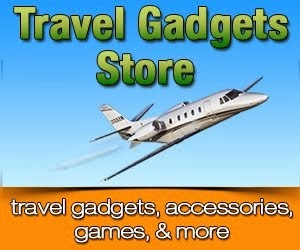 Making it great for use for travel in various seasons. Scooters are all the rage these days for kids and adults. They make for easier and quicker transportation over short distances. But what do you do with it once you get there? 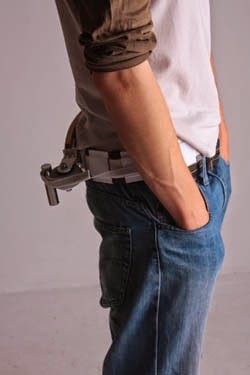 You now can wrap around you as a belt to hold up your pants as well. Though based on the picture below, it does not seem that comfortable for wearing, though hopefully it is better at scooting. What do nudists bring on vacations? The Fanbrella is perfect for those hot muggy days when the sun beating down on you is not the only thing making you hot. The high humidity makes it that much hotter. 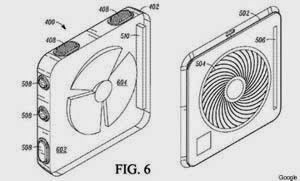 The umbrella will keep protect from sun rays and the built-in fan will keep you cooler under it. It could also come in handy if it rains but it’s still hot and humid. I'll be honest, we were actually considering getting blooming baby bath. That is until we actually started researching and buying things for our new addition. It definitely did not make the cut. Glowing onesies, pacifier with mustache, co-sleeper that just hangs in the air, Mommysentials' The BabyKeeper Basic, and Cocoon Pillow are not a must-have gadgets for taking care of the baby. Some of these are just unneccesarry or just plainly cannot be good for the kid. 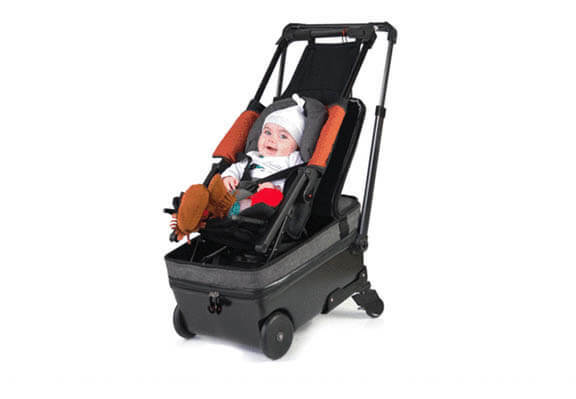 Though the 4mom gadgets, 4Moms MamaRoo Bouncer and 4moms Origami Power-Folding Stroller, are pretty nice innovations on existing baby carriers. A micro fleece fabric soft scarf that looks and feels like a regular one. Though Peepsnake iPhone Scarf also comes with a zipper pocket and pocket that fit either an iPhone or Android phone. The pocket is see-through and made from plastic film that is designed specifically to hold touchscreen devices. You can control the touchscreen operations on the smartphone while it is still within the pocket. 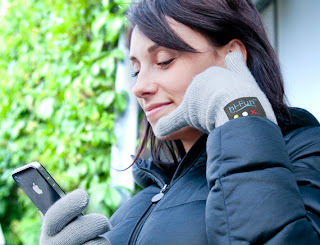 The pocket on the scarf gives quick and easy access to your phone in a chilly weather. 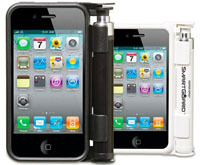 It can also hold other gadgets and accessories securely. 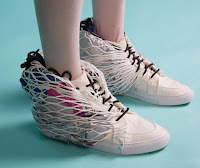 Is that a tent in your shoes, or did you get caught in the fishing net? From functionality and overall structure of the shoes, I think the designer was going more for the Mercury's shoes, though these look more like something hitched a ride on your tennis shoes. However, there is a whole tent that is hidden with the sneakers. 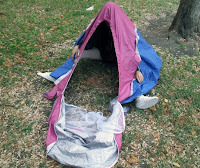 If you get caught in the storm or lost in the wilderness, you will have a hideout readily available. 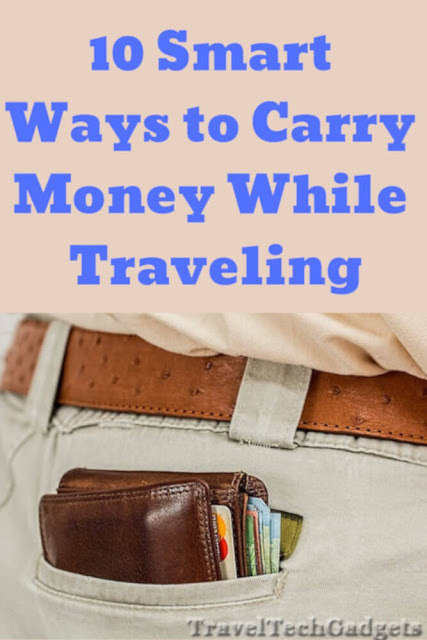 Bags are great for transporting your belongings on travels, though this suitcase can do that and more. Micro Luggage Suitcase combines a wheeled suitcase with a micro scooter. When folded it looks like a conventional wheeled luggage. With the handle extended and wheels on the ground, it is a you-powered scooter, that lets you roll through airports and to your destinations with ease. This gadget is for you. 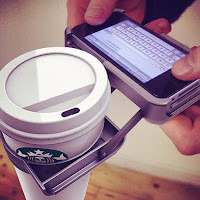 No more having to hold your gadget and your cup in two hands. That's too much juggling. Now there is convenient UpperCup. This gadget holds your iPhone and your cup at the same time. Just clip your phone into the holder, press a button, and slip your cup into the cup holder. Now you are free to text away while walking and not pay attention to trees, cars, and so on. 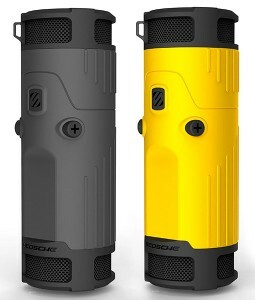 Scosche BoomBottle fits nicely into your bicycles water bottle holder. 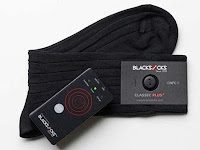 It syncs via Bluetooth with your smartphone to play your beats out loud while you are on the trail so that your biking buddies can enjoy the tunes too. Though doubt you will get very far, unless you find another way to transport some H2O. A Camelbak Hydration Pack might be a good idea if you do have the BoomBottle with you. Remember, it is important to keep yourself hydrated with at least 8 cups of water per day. More if you are exercising. thank a potato for the great wireless services wherever you sit on the plane. The shoes are code names No Place Like Home. And yes they pay homage ;to Wizard of Oz since to activate the navigation system you click the heels together and the LED lights on the toe of each shoe will guide the way like a yellow brick road. Though the lights are red. 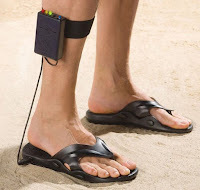 There is a built-in GPS USB in the back that has your route stored and transfers the directions to the front of the shoe. Now you can have both at the same time and eat them too. 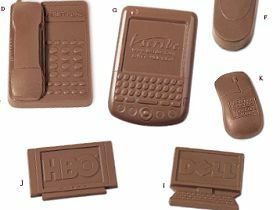 There are quite a few versions of cases for the popular smartphone. And just when you thought there could not be anymore, a Swiss company has come up with one more variation. This one comes with a pepper spray built into it. 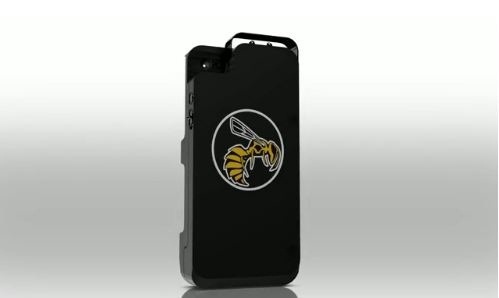 As per the company's website: "With the Smart Guard iPhone Case you have your own personal protection attached to your phone wherever you go. 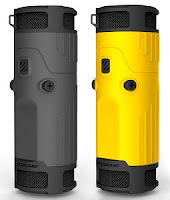 You no longer have to remember to pack the pepper spray and no need for extra space in your pocket." It has a safety mechanism so you won’t blind yourself while making a call. Which is of course good in most situations. You always have your keys around (at least hopefully) and now you can also have a gadget with you to get a bottle of wine open whenever your heart desires. TwistStick is the smallest fully working corkscrew that is compact and durable. It can be attached to your key-ring or hooked to your bag. Looks and ties like a traditional tie. Maybe even looks like one, from a far. It is made out of microfiber/silk blend, does not wrinkle easily, has a removable vinyl tube which is used to inflate it with a few puffs. Great tag line on the site: "Because most functions that require a necktie...deserve to be slept through"
It is a 12 ounce double walled stainless steel mug with polypropylene inner liner. It comes with a splash proof cover for easier transport and to keep the beverage warm. 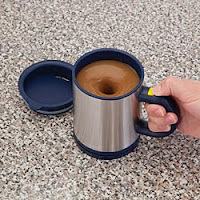 With a touch of a button on the handle, the mug will stir and mix your beverage. Eliminates the need to dispose of stirrers or having dirty spoons. Making it also a green product. Hand wash only. Requires two AA batteries, not included. 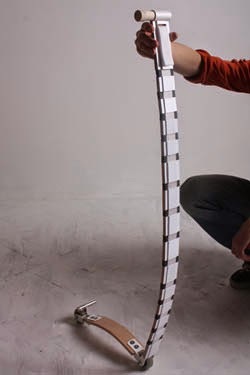 4½" x 3½". 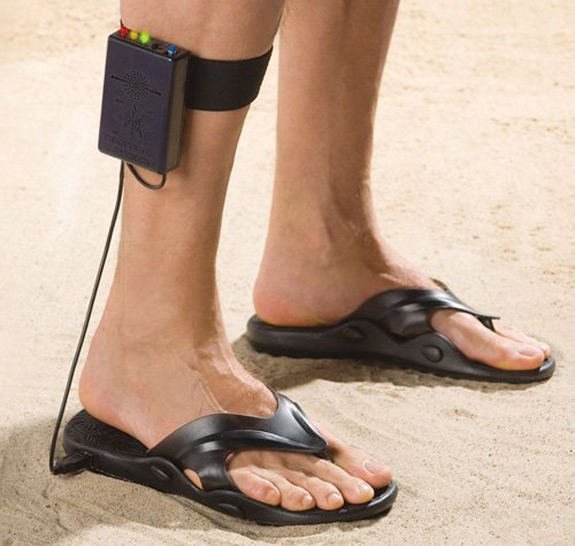 These beach sandals have a built-in metal detector, allowing you to comb the beach for buried treasure at your leisure, without all the traditional bulky gear. They can find buried treasure up to 2 feet below the surface. 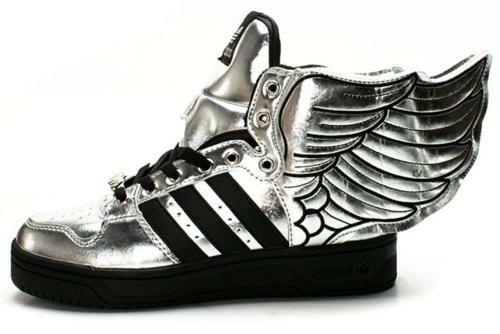 Step on a metallic object and the leg-mounted control console vibrates or emits sounds. Wi-Fi Network Detector T-shirt - This shirt shows you and all people around you where the closest Wi-Fi hot spot is located. It has a built Wi-Fi detector and its animated image displays current signal and its strength. The more bars appear on your shirt, the better the signal. It has has a battery pack concealed in a small pocket sewn in the shirt.The shirt itself is 100% cotton and the animated decal is removable for easy washing. 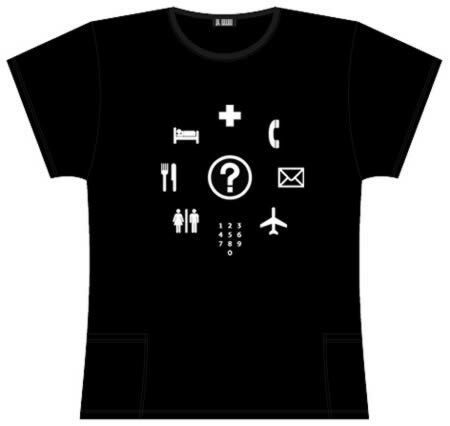 Traveler's Phrasebook T-Shirt - Traveling internationally? This shirt has pictures of international signs that are recognized across the globe. It makes it easy to communicate your basic needs quickly and efficiently without looking up a translation. All you have to do is point to whatever it is you're looking for and most folks would be able to help you out. Created by a Thai company Bone Collection, the Bone Bike Horn is an eco-friendly silicone accessory that boosts your iPhone's natural volume level by 13 decibels without any electricity. 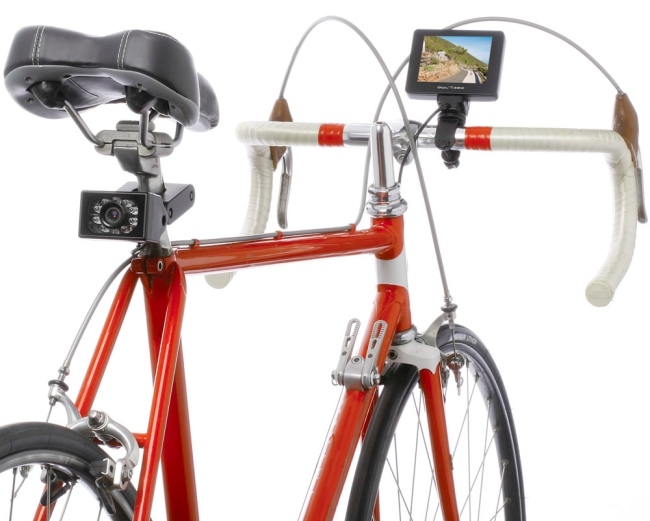 It also holds the iPhone securely on the handlebars of your bike. Horn Bike comes with a strap and fits all bicycles, it is shock and scratch proof. Ha! I love this post! 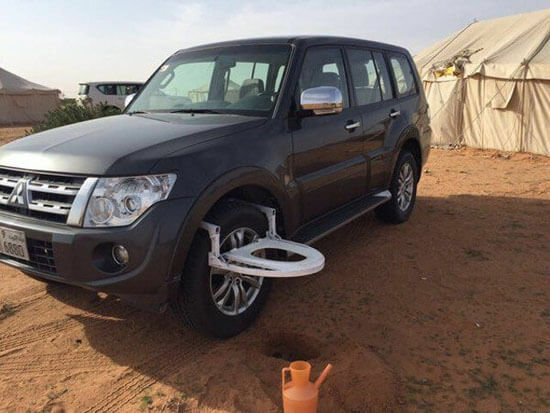 So many really neat ideas here, especially the arm rest and the tire toilet. Innovative!